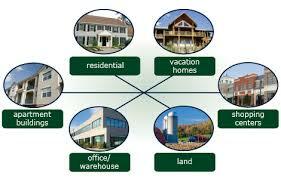 There are two major categories of real estate development activity: land development and building development. Land developers typically acquire natural or “unimproved” land (often referred to as englobo land, raw land, real property with no improvements or infrastructure) and “improve” or alter it with utility connections, roads, earth grading, covenants, and entitlements. Infrastructure improvement provides a base for further development of built improvements. Covenants define the context in which future development of built improvements may take place (often in the form of deed restrictions on particular parcels: a sort of “private zoning code” limited only to those properties). Entitlements are secured legal permissions from regulatory bodies (typically in the form of permits, but sometimes in the form of re-zoning or planned unit developments). Once these improvements have been made to the raw land, it is typically subdivided and sold piecemeal at a profit to individuals or building developers. Building developers acquire raw land, improved land, and/or redevelopable property in order to construct building projects. The buildings are then sold entirely or in part to others, or retained as assets to produce cash flow via rents and other means. Some building developers have their own internal departments for designing and constructing buildings (more common among larger developers), while others subcontract these parts of the work to third parties (typical of small developers).